I no longer seek Kaaba now. Yeh Jo Halka Halka Saroor Hai is one of the greatest love songs ever penned. With its beautiful verses like above, it is an expression of utmost and devotional love for beloved. 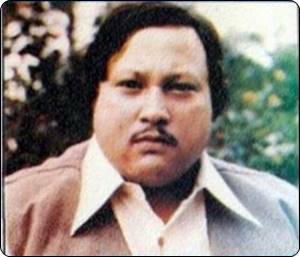 Download the original and uncut 18-minute Qawwali in voice of King of Sufi Music, Nusrat Fateh Ali Khan sings Yeh Jo Halka Halka Saroor Hai.